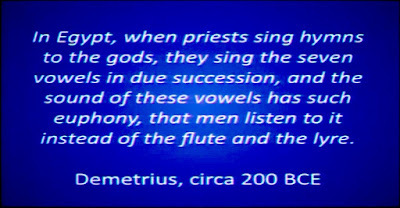 The vowel is the breath of the word. In song it is selectively celebrated and we rejoice. 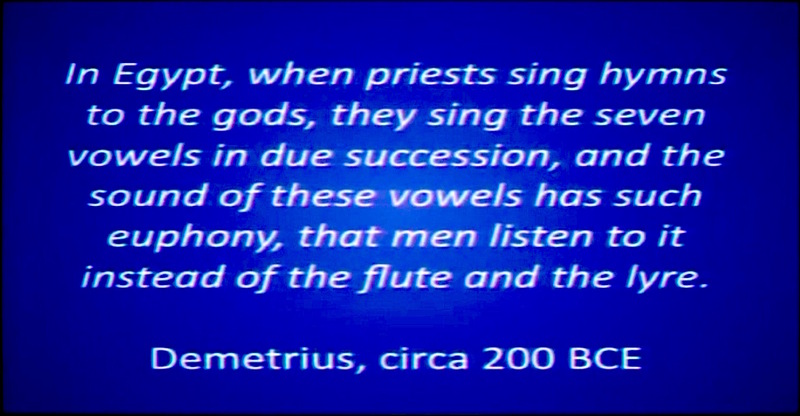 Each vowel is its own vibration, its own signaling to the body, mind and spirit. Each sounding vibration has its corresponding color, its corresponding light, its corresponding nerve plexus, its corresponding chakra. Chanting the seven vowels has proven itself to be balancing and energizing to each of the seven energy centers. A lullaby, with a repetitive refrain of the seven vowels, brings about deep relaxation, and for the child a state of sleep. The signaling sequence of the seven vowels, from the root to the crown chakra, are the long vowel sounds of O-I-E-W (oo)-U-Y(ee)-A. Based upon an APOGEE Acu-Tone™ energetic evaluation, a prescriptive sequencing of the vowels is offered. YES, one can chant and bring about a welcomed state of BEING.